AT GOOD OLD GOLD INC. The Good Old Gold new line of "Platinum Select" represents what are among the most beautiful and rare diamonds on the market and while not necessarily our "Ascendancy", are still among the finest you'll find online and must still meet very exacting criteria as these are diamonds that we will still back with our Full Lifetime Trade up and Buy back policies. 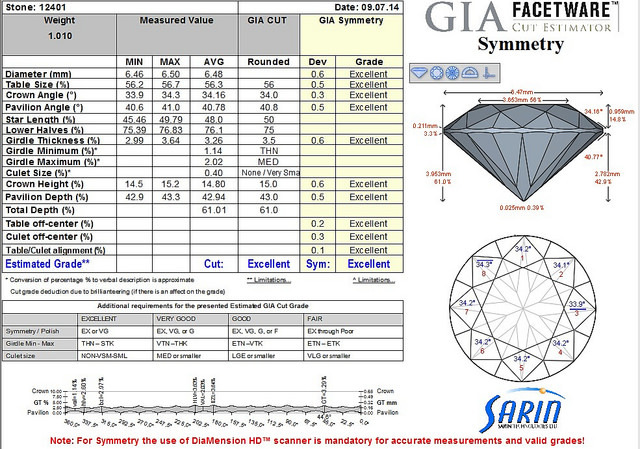 GIA Excellent or AGS Ideal Cut Grades (can include polish/symmetry grades of GIA "Very Good" and AGS "Excellent" as long as the cut grade is the highest). Most Platinum Selects will in fact be GIA Triple Excellent or AGS Triple Ideal Cuts but allows for a slightly more flexible grade in polish/symmetry if those are the best options available for a particular persons call. If the diamond is a GIA Excellent cut it must also attain AGS Ideal Light Performance via AGS' proprietary AGS PGS (Performance Grading Software) analysis. If the diamond is AGS Ideal Cut it must also attain GIA Excellent cut status via GIA's proprietary "FacetWare" analysis. Light leakage via FireScope/DiamXray must be minimal. AGS ASET analysis must still meet AGS standards for "Ideal" but does allow for a slight more presence of greens/blues. The ASET results below are all AGS Ideal optics. Table sizes can vary up to 62% (albeit many of our Platinum Selects will have tables <60%). Crown angles can be as low as 32.x and as high as 36.5 degrees. (Crucial you read our FAQ Question 1 below concerning proportions for Platinum Selects). Pavilion angles can be anywhere between 40.4 and 41.6. (Crucial you read our FAQ Question 1 below concerning proportions for Platinum Selects). Upper and lower half facets can exhibit minor painting or digging but not enough to disqualify them from receiving the GIA Ex or AGS Ideal grade for optics. Here are 2 examples of what we're talking about. Note both of the examples below are in fact AGS Triple Ideal Cuts however their proportions fall outside of traditional Ideal cut ranges.  Policies: Full Lifetime Trade-up and Buyback Policies. While these diamonds may or may not be cut to the level of precision that our Signature Hearts & Arrows are, they are still among the rarest diamonds on the market and as such we will back these with our full policies. 1. 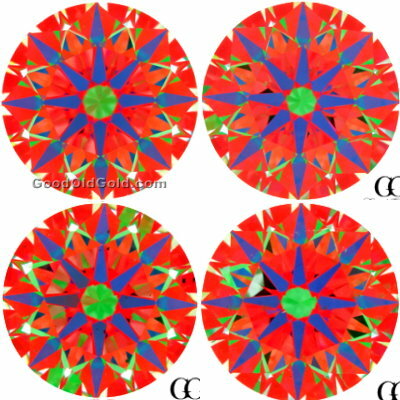 Why do you allow for GIA "Very Good" or AGS "Excellent" polish & symmetry? Will that not make the diamond less brilliant or affect the cut grade? Nope. These factors are not what contribute to decreased brilliance or fire.  GIA and AGS Laboratories will in fact grant their top cut grades to diamonds even if they their polish & symmetry grades are "very good" (for GIA's) or "excellent" (for AGS'). The reason is because polish and symmetry features in these categories do not impact the diamonds optics and light still flows freely within and without the diamond. It is generally only something you can see under a microscope and does not impact the diamond visually. The issues that primarily contribute to decreased optics are proportional measurements which can cause either too much light leakage or conversely too much head/body shadow reflecting within the diamond which does decrease overall brilliance. 2. Will a Platinum Select look different from your Hearts & Arrows? Sometimes yes and sometimes no.  Our Platinum Selects are geared more towards our budget conscious clients who are looking for those diamonds containing the rare optics of GIA Ex & AGS Ideal but who do not necessarily want to pay the slight premium for the combined precision and orthodox proportions of our Hearts and Arrows. When you consider that most GIA Ex cut diamonds do not have AGS Ideal optics, this fact alone puts them in a category all by themself. 3. I note the proportion tolerances you list for your Platinum Selects cover a very broad range of proportions. How can you guarantee GIA Ex/AGS Ideal optics with such a broad range of proportions? Good question. Here in our lab we utilize a Sarine HD Scanner which is a high definition non contact measuring device which measures any shape/size diamond and gives us back detailed reports of all the facet measurements and also creates a 3d model of the diamond that was scanned. We also happen to lease from GIA and AGS their proprietary software which will take the scan of the diamond and analyze it against each of their respective grading systems and assign the appropriate cut grade to the diamond in each. GIA's cut grading system is primarily proportion based but also takes into account certain levels of painting and digging which the Sarine also detects and penalizes for. 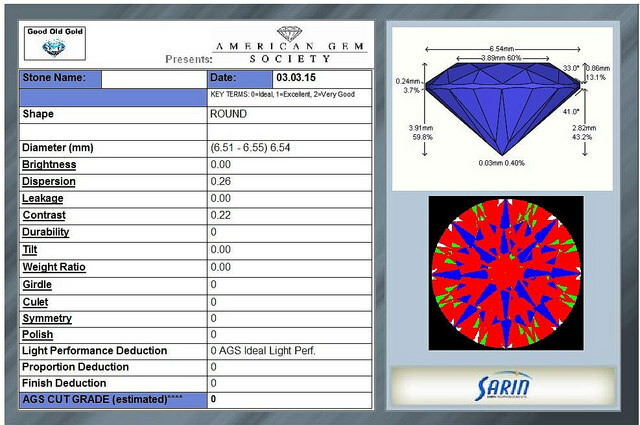 The AGS PGS (Performance Grading Software) takes the 3d model of the diamond and processes it at tilt angles as well as head on to determine the diamonds Light Performance Grade. Every round diamond in our inventory has these results published so you know precisely what you're getting. 4. How much less expensive are Platinum Selects over your Hearts & Arrows? It varies. Sometimes, depending on the rarity of the diamond they can be priced pretty comparable to as much as a 20% difference but in most instances there is roughly a 10% difference. Click here to view our Platinum Select Diamonds diamond inventory.